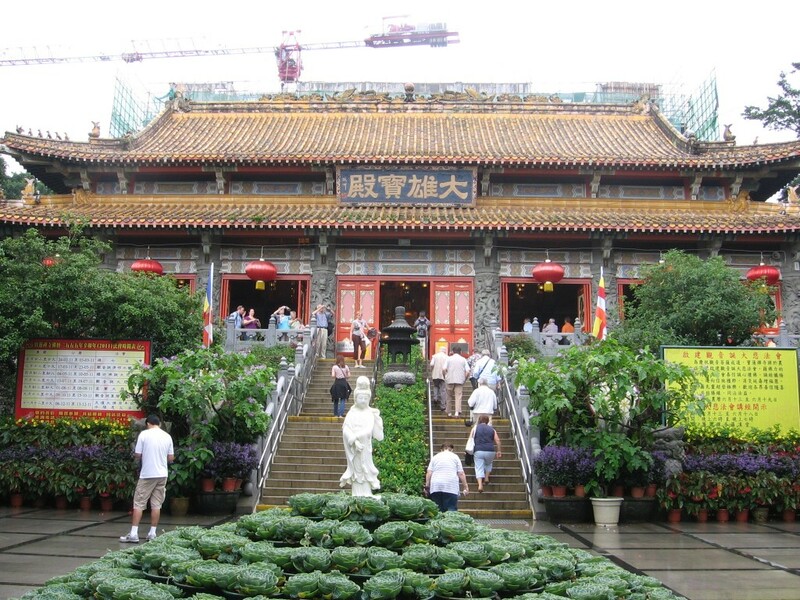 Like what I mentioned here, my aunt and I went to Hong Kong the day after independence day. We slept at the airport the night before since we had an early flight. The plane ride going there was uneventful. Thank you, Cebu Pacific! I booked this trip in August of 2010 and we flew in June 2011. I had a lot of time to prepare for the trip. This forum thread is really very helpful. My aunt was amazed how easy it was for me to guide her through the itinerary I made. I was also her accountant. I kept her money and I pick what food to eat and what knickknacks to buy. When we went there, it was 1 HKD= 5.5 Php. When she thinks HKD100 is cheap, I would tell her, “That’s Php550. Would you buy that item for that amount in the Philippines?” Yeah, I am frugal. I travel to see the sights and experience something new. Shopping takes a backseat. Hong Kong is very tourist-friendly. Signs are everywhere so it is easy to get around the place. Their public transport system is very efficient. Roads are well-paved so the more than 30-minute bus ride from the airport to the hostel in Tsim Sha Tsui was smooth. 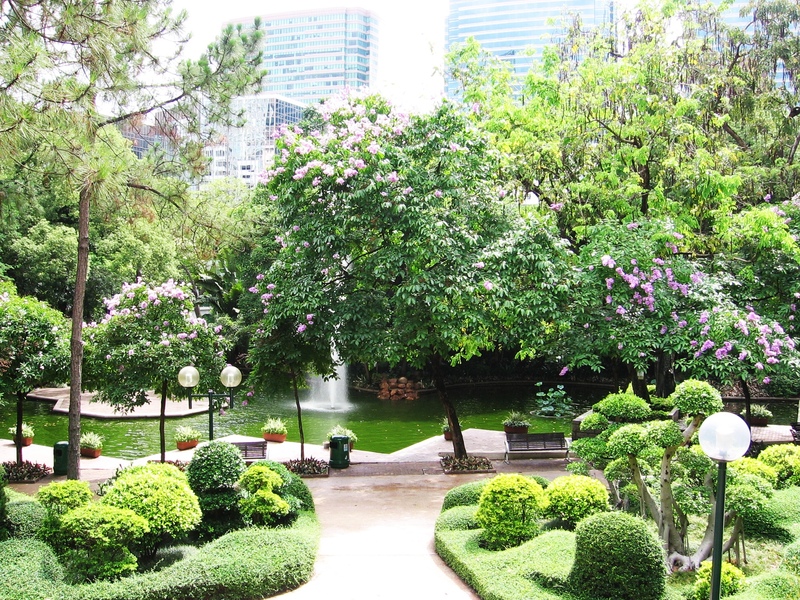 In the middle of the busy streets like Nathan Road, there are still patches of green courtesy of the Kowloon Park. 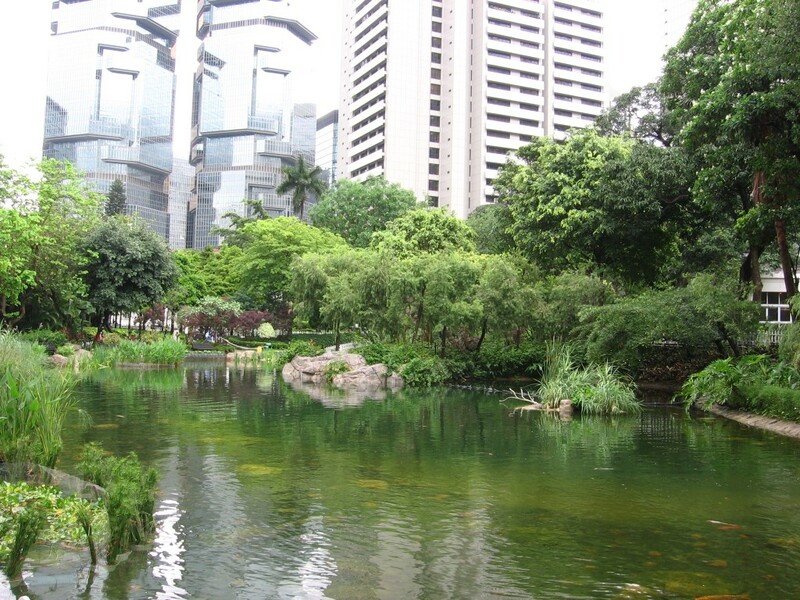 There is also the Hong Kong Park just a train ride away from Tsim Sha Tsui area. 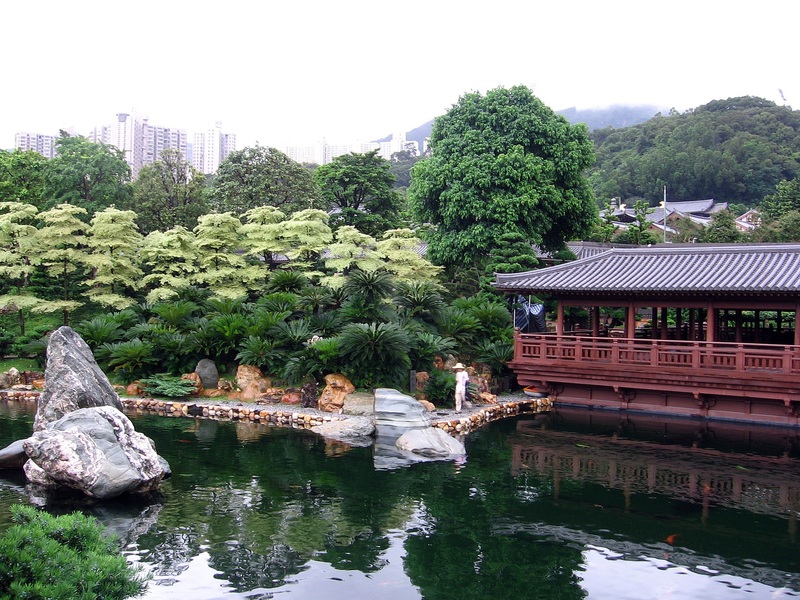 Two train rides away from Tsim Sha Tsui is the Nanlian Garden. It is worth the two train rides we took. Plus, we had to go there twice because it rained the first time. All the hassle was obliterated once we set foot in the garden doors. Since I traveled with a 65-year-old, walking can be difficult so I usually stick to the accessible routes. This area could have been pretty at night but my aunt is too tired to experience the Symphony of Lights so we went to the Avenue of the Stars during the day. 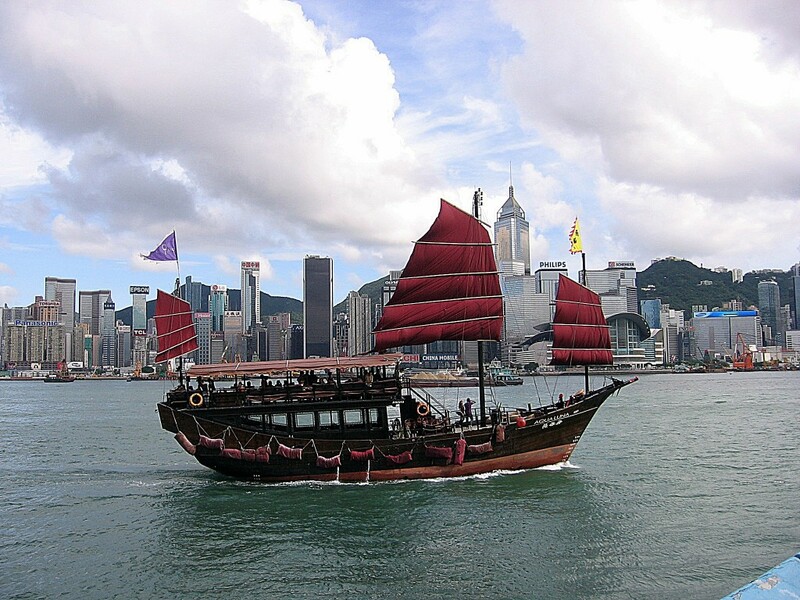 Hong Kong Junk Boat: Here, it was used as a cruise boat for tourists. The Avenue of the Stars is Hong Kong’s answer to Hollywood’s Walk of Fame. Notable Chinese celebrities have their stars in the boardwalk that stretched more than a kilometer, I guess. Hearing the whines from my aunt on how far we walked, I surmised that it was pretty far. 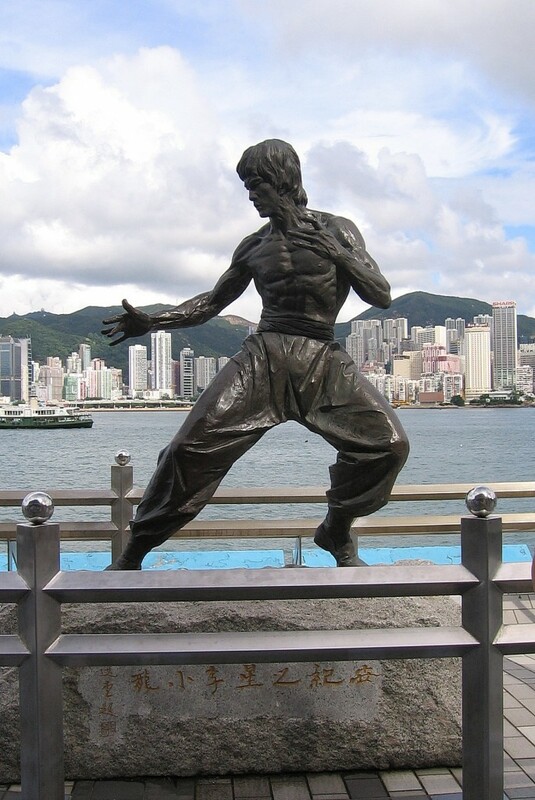 Of course, the most famous Chinese star gets a monument. Almost every tourist I saw who had their picture taken with the statue posed the same way. Haha! I had to restrain myself from doing the same. Every kid I know wants to go to Disneyland. I am no exception. While my childhood was long over, my childhood dream is not. 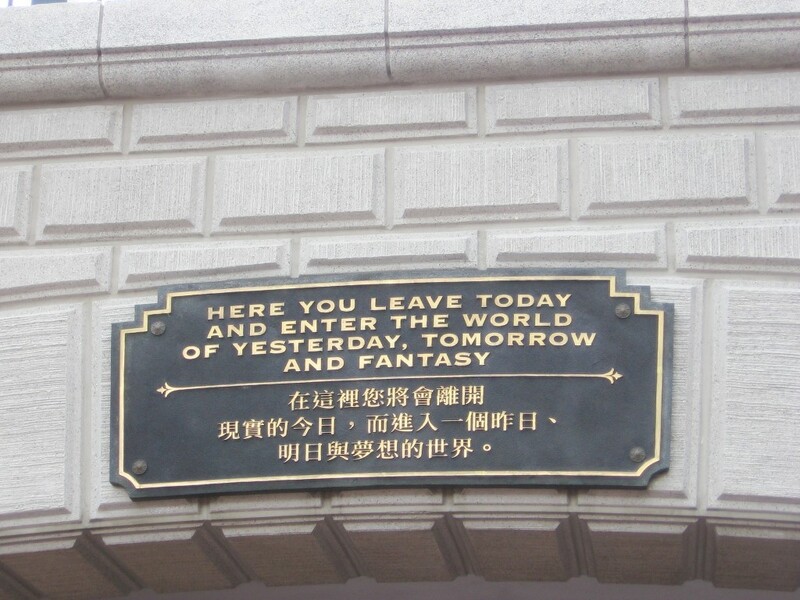 I just can’t go to Hong Kong and not visit Disneyland. 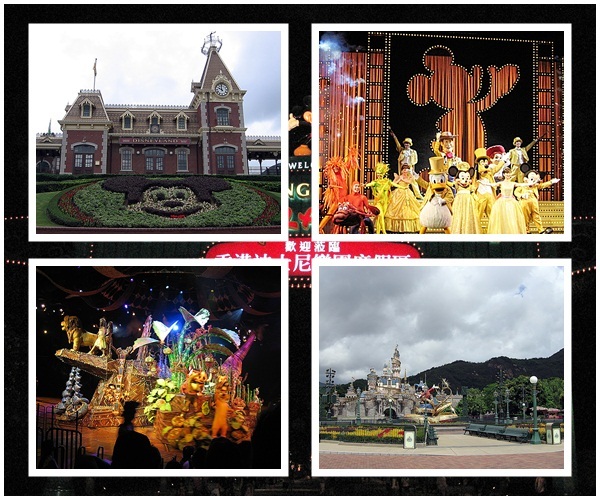 So I allotted a day in Disneyland. 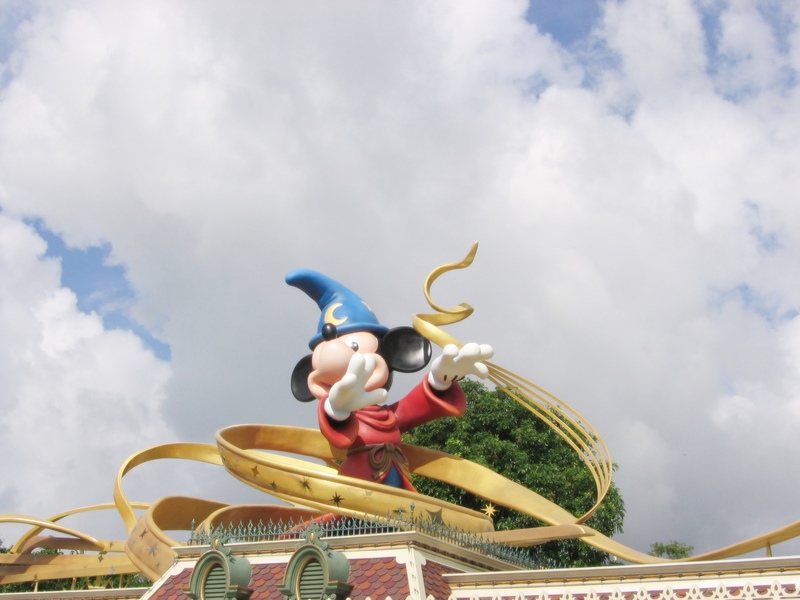 Even if I read reviews that it is small and I can go to every nook and cranny of HK Disneyland in one afternoon, I needed one day in the park. At 9AM on the second day in HK, my aunt and I are sitting on a bench near the entrance, holding our tickets, waiting for the gates to open at 10AM. Excited much? Disneyland is indeed the happiest place on earth! It is so hard to be sad inside the park. I got to be a child again in Disneyland. Since we got 4 days to spend in this part of the world, we might as well visit Macau which is only a 1-hour boat ride from Hong Kong. It was already the 3rd day of the trip. The weather is fine so we took the earliest ferry schedule to Macau. There were only a few of us inside the ferry. I was already warned by a friend that I should take Bonamine because the sea is quite rough. True enough, the breakfast I ate that morning found its way inside the vomit bag. I am no stranger to motion sickness. Land travel messes up my equilibrium and it is a rare occurrence when I do not throw up during out-of-town land trips. I take medicine for such trips and it usually do not work. What works is keeping a plastic bag and tissue paper at arms reach. While land travel is a bane, boat rides are okay. But there is always a first time and it happened in one boat ride to Macau. Albeit hungry, I arrived at the Macau Ferry Terminal whole. On our way out from the Immigration counter, we were approached by fellow Filipinos offering their services as tour guides. I declined. I did my research so I know I can reach Macau landmarks using the free shuttle buses of the different casinos. 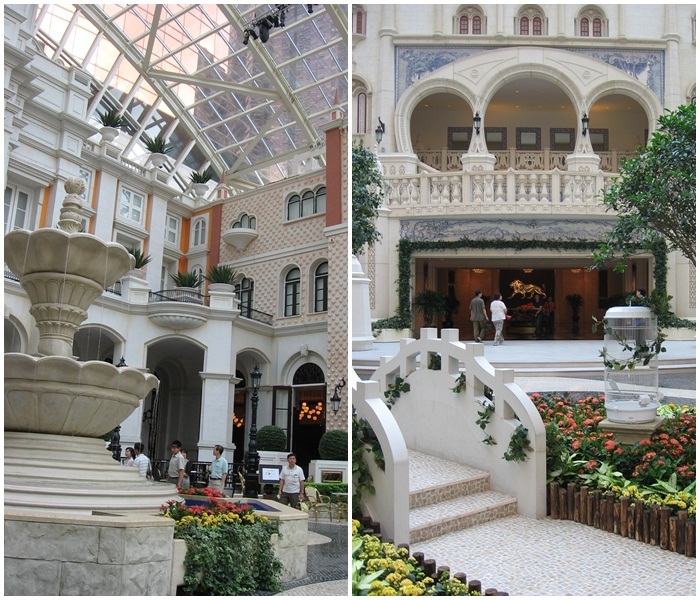 Macau is the Las Vegas of Asia. Different casinos offer free shuttle buses to tourists. Since we took the earliest ferry ride, we arrived at Macau around 8:30 AM. Shuttle bus services start at 9:30AM. (That’s what the guide told me. Thanks for the free tip. ) This was our conversation. Guide: Is this your first time? Guide: You have a friend here? Me: No. We’ll just take the free shuttle buses. Guide: Shuttle buses will be available at 930. You’re going to waste 1 hour. Me: We’ll visit the ‘Fisherman’s Wharf’ first. Fisherman’s Wharf is an area next to the Ferry Terminal. It is a recreation spot filled with different shops, restaurants, coffee houses, event arena, hotel. Different establishments have different themes. In one area, you feel like you are in Egypt then a few steps away, Roman columns beckon. We took a shuttle bus to Grand Lisboa and walked towards Senado Square. Our goal was to see the Ruins of St. Paul. Grand Lisboa is an old landmark in Macau. It was a setting in one of the 'Bourne" books by Robert Ludlum. The instructions I got from the Internet is to just walk along the road to the right of Grand Lisboa. You will know when you reach Senado Square. The Ruins of St Paul. 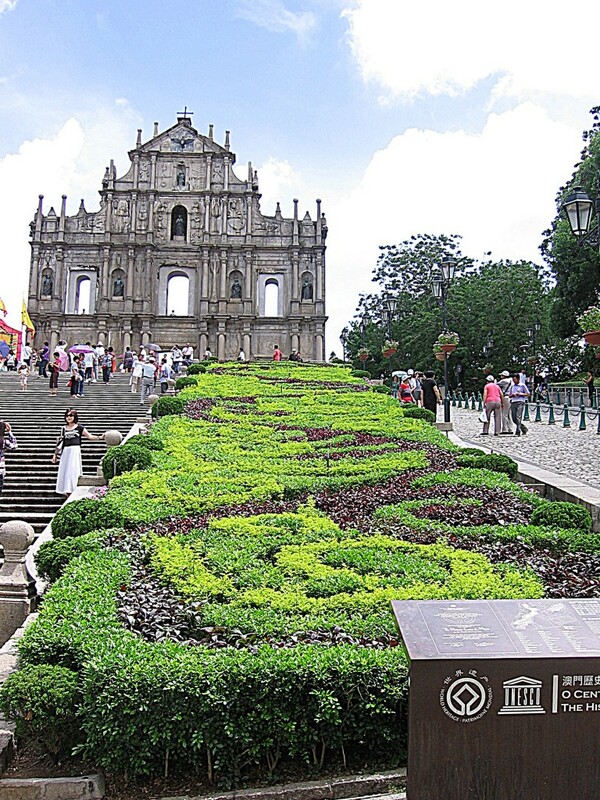 This is Macau’s most famous landmark. My aunt was too tired to climb up the steps. I bet there are sights to see out there. I’ll check that out next time. This was not my last trip to Macau. I’ll go back when I can. 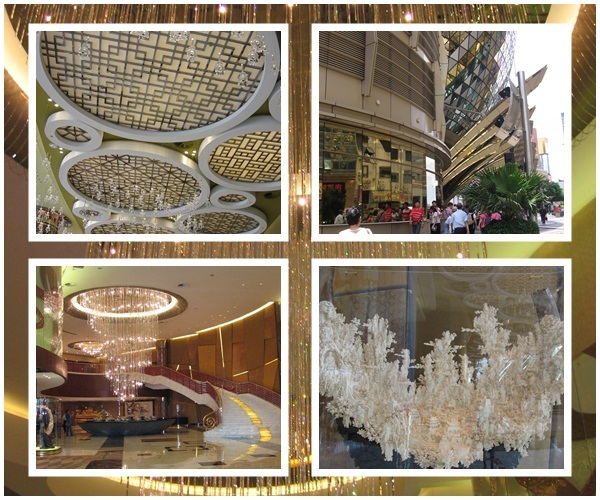 We retraced our steps and headed back to Grand Lisboa to avail of the free shuttle bus to the Ferry Terminal. Thus, we started casino hopping. We watch the Bubble Show at the City of Dreams. I had to convince my aunt because she was not too keen on watching. I told her, “It’s HKD30 now. The next time you want to watch this, this will cost more. Better watch now and get it over with.” Then, we realized we had to stand inside the orb while the curved screen above us projects all these effects. Dragons would look like they were flying above us (or were they supposed to be swimming underwater?). By this time, my aunt was already tired. 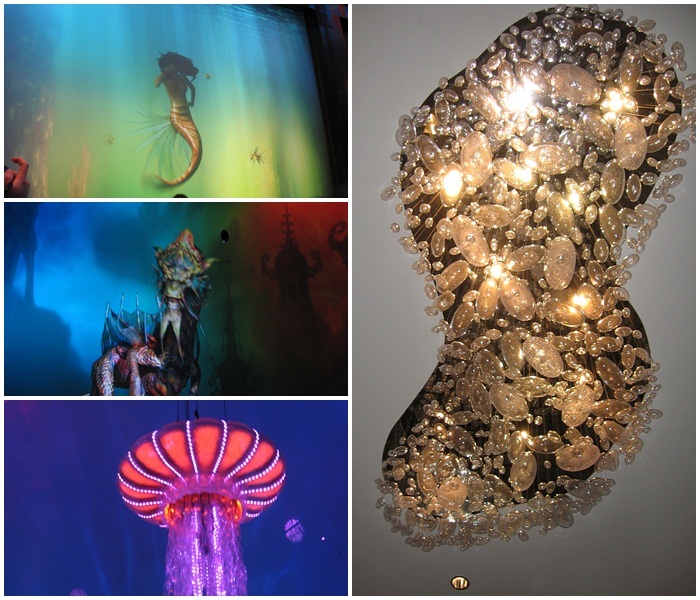 I convinced her that we drop by MGM Grand on the way to Ferry Terminal. She obliged. We could have visited a lot more places but the senior citizen wanted to go home so I gave in. This trip was for her anyway. I will just visit the other sites next time. 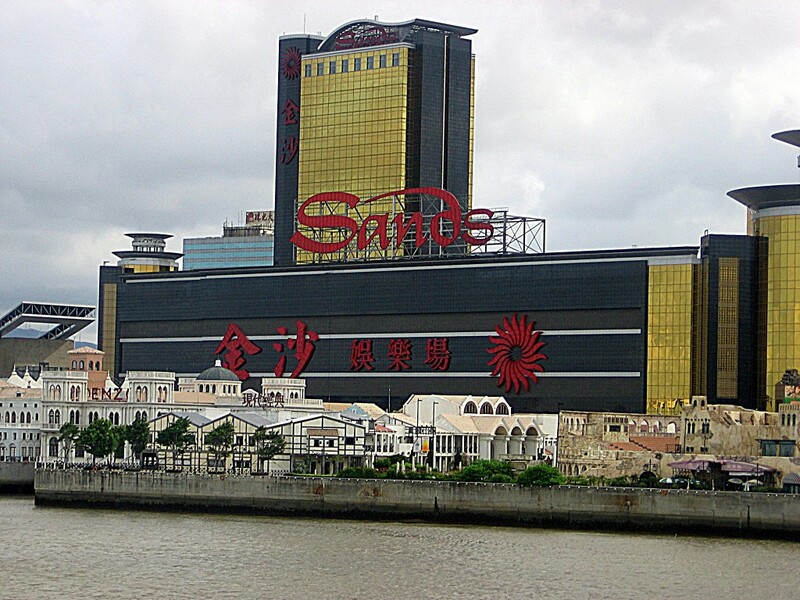 From the ferry terminal, I took a photo of the Sands Casino. Bye, Macau! The next day, we went to Hong Kong Island. It was raining and we got lost looking for the Peak tram. When reached the top, we can’t see the view because of the fog. On our way down, this was all I was able to capture. We were able to visit IKEA in Admiralty. It is the smaller store. There is a bigger store in other part of HK but we were not able to visit there. IKEA is <3. We were wishing IKEA will open in the Philippines. Food was also delicious and cheap. We got the Swedish meatballs, hotdog and chicken wings. We bought some goodies, too. We got chocolates, biscuits and candies. 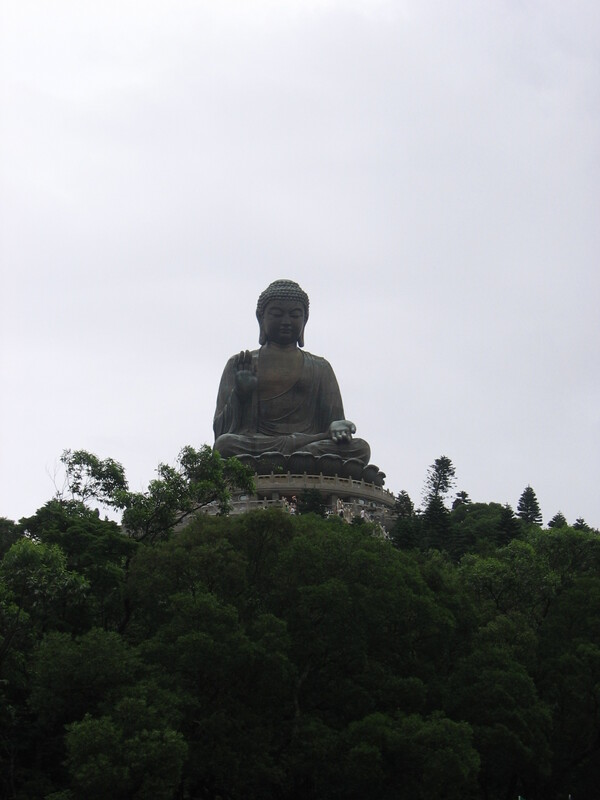 On our last day, we packed our bags and headed for Tung Chung to visit Ngong Ping. Tung Chung is just a short bus ride to the airport that why we brought our luggage so we do not have to go back to Tsim Sha Tsui. 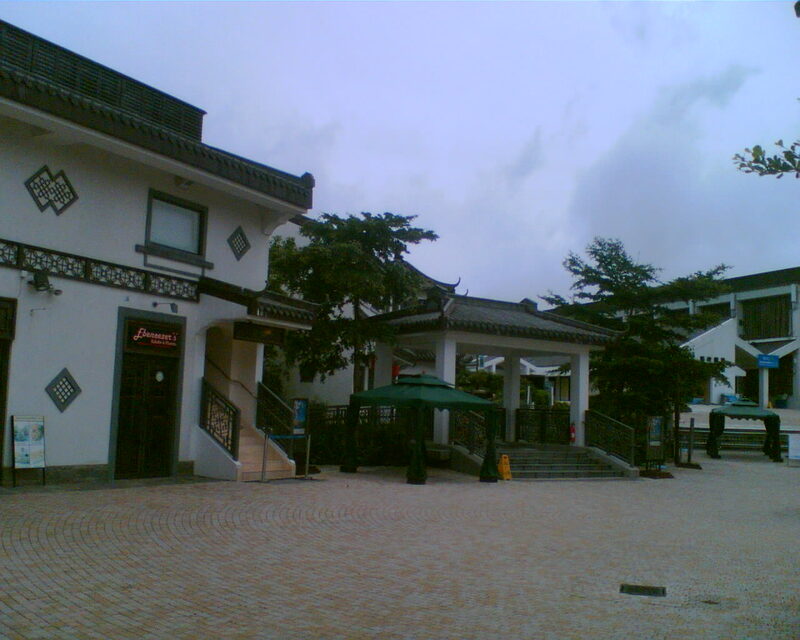 Near the MTR station is a Citygate outlet. In the basement level 2, there are self-service storage lockers. So,we left our luggage there. It is a learning experience how to operate the compartment. What a techie way to secure our belongings! I should have taken a photo of the facility. 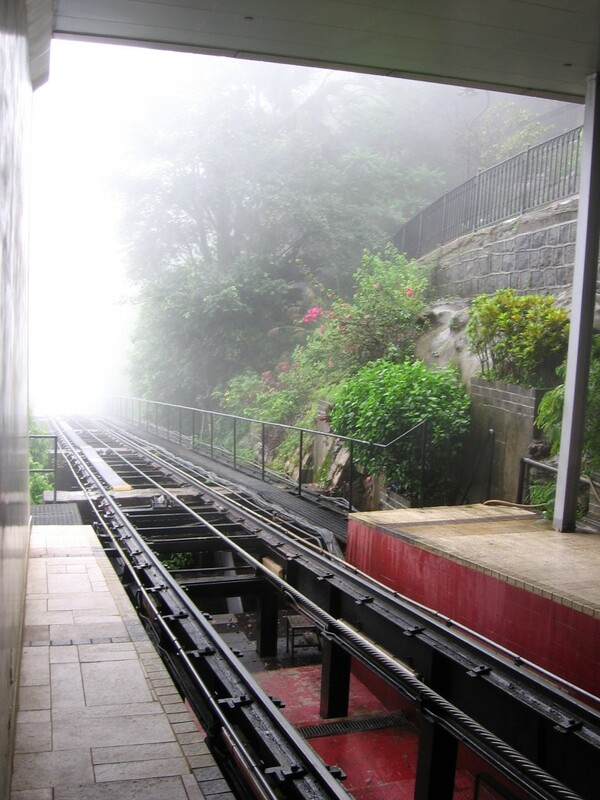 Ngong Ping can be reached by cable car or bus from the Tung Chung area. 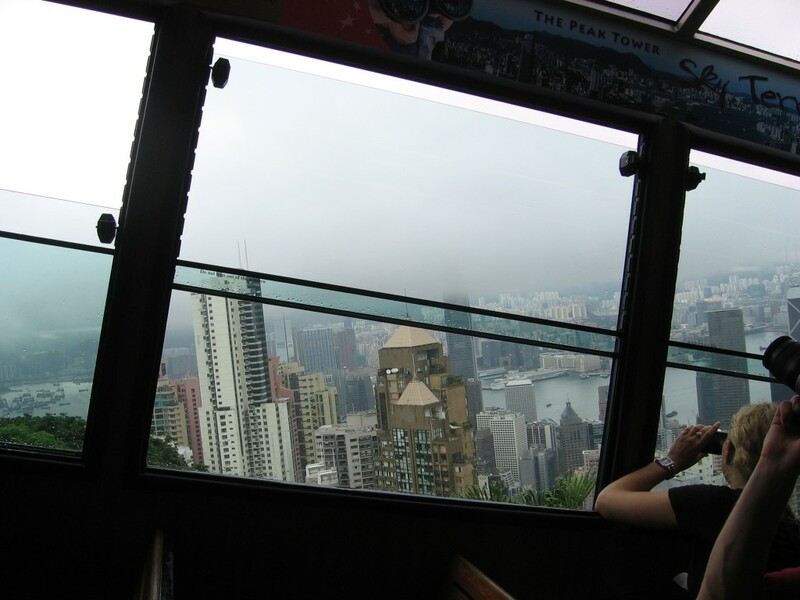 When we were there, the cable cars are under maintenance so we had to ride the bus. It was a long bus ride to the top of the mountain. I had my ‘Are we there yet?‘ moment. Amazingly, I did not puke. With this, our trip to HK came to a close. We took the bus to Tung Chung. 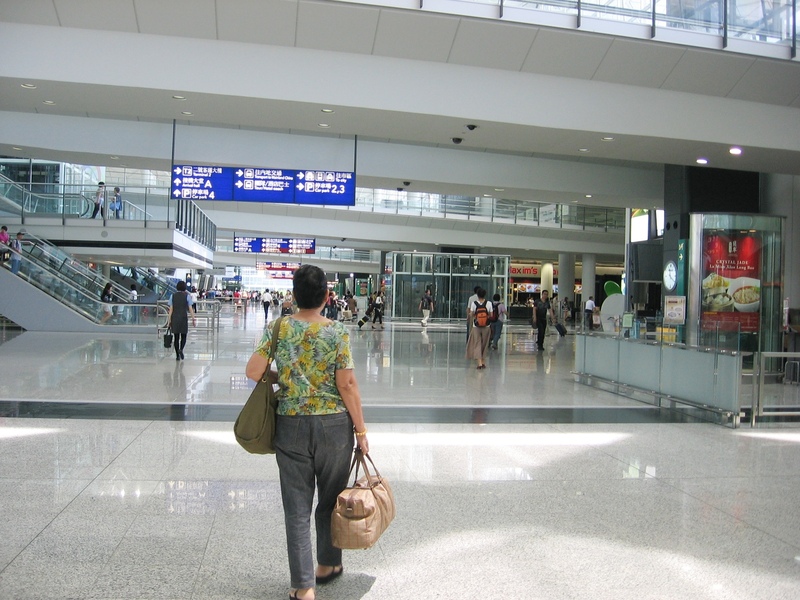 From Tung Chung, we took the bus to the airport. What an experience! I will do this again. I wish my cousins can come with me next time. P.S. This blog post is still unedited. Woah! I’m really loving the template/theme of this site. It’s simple, yet effective. A lot of times it’s difficult to get that “perfect balance” between usability and visual appeal. I must say you have done a very good job with this. Also, the blog loads super fast for me on Firefox. Outstanding Blog! Thank you! 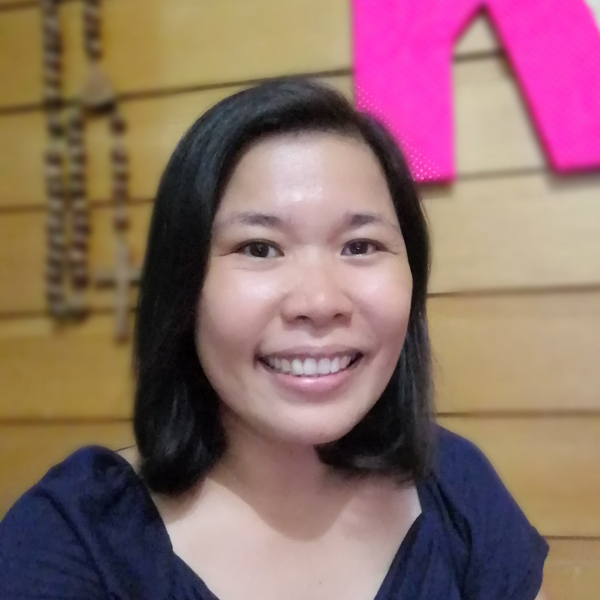 I just want a simple blog to tell my stories. This might not be the largest Country in the World, but I think it is the most impressive. One way you can measure the growth of somewhere is the measure it’s government. There is little doubt that this place blows other places away. I wouldn’t want to live there, but a year or three would be pretty awesome.